This is my take on the royal crest symbol from the hit game Legend of Zelda. Hamdmade in sterling silver, the pendant measures 2.5cm high plus the bail and 2.6cm wide. The loop varies from one piece to the next and is a nice size for any size chain. This is possibly the second most common symbol found in The Legend of Zelda series and several versions of this symbol have been used throughout the series. It is inspired by the design for the Royal Crest. 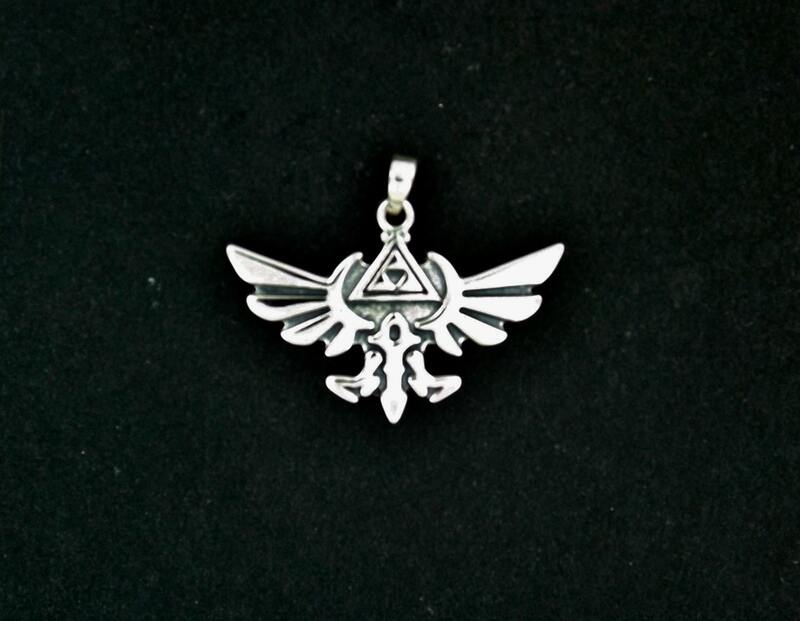 The bird symbol is usually accompanied by a depiction of the Triforce. The Goddess Hylia's crest was in the shape of a bird and the people of Skyloft, descendants of the people who lived among Hylia and the ancestors of the Hylians, rode giant birds and used the same symbol. Because of this, both the Royal Crest and the Hylian Crest incorporate elements of the symbol she used when ruling over the same land long ago. Quick shipping time and item is as described, can't wait to wear it! First, the pendant arrived quite fast, even though the vendor informed about potential disruptions in the Canada Post. Packing was good and adequate. Now, the pendant itself is very well done and fits exactly to the described article. I am very happy with it. I have taken a photo, but I cannot find here in this template how to upload it; I will check after posting maybe. Thanks for the good quality of the product and your contacts as vendor! Perfect! 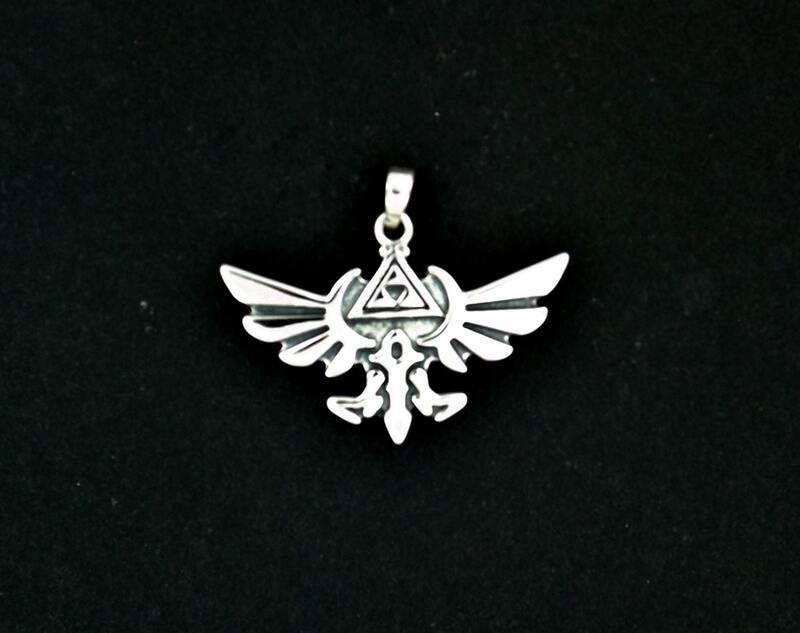 I'd been looking for a nice silver Zelda pendant for a while, and this was exactly what I was looking for! Thanks a lot. This pendant is so beautiful <3<3<3 "i love it so much ! Very well hand made in Silver sterling 925. I recommend this seller as 200%. Thanks so much also for the fast delivering. Best regards.